Today it’s all about Grilling. On the menu for tonight’s dinner is one of my personal favorites, BBQ Ribs. Outside Inside Ribs are made in the manner that the title suggests. 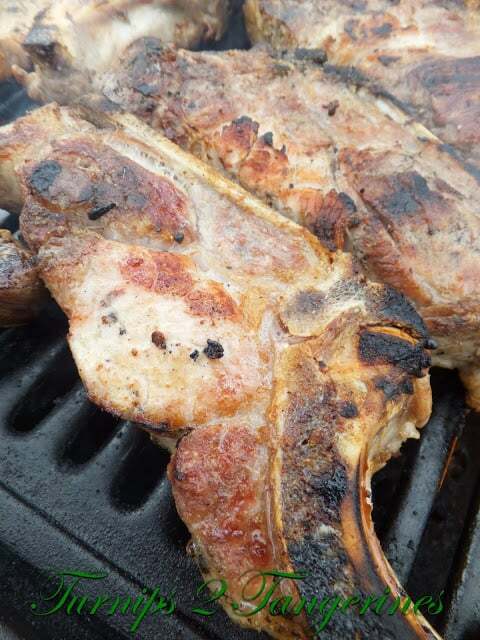 The ribs are first grilled outside until golden brown and the juices run clear. The ribs are then brought inside and placed in a roasting pan. 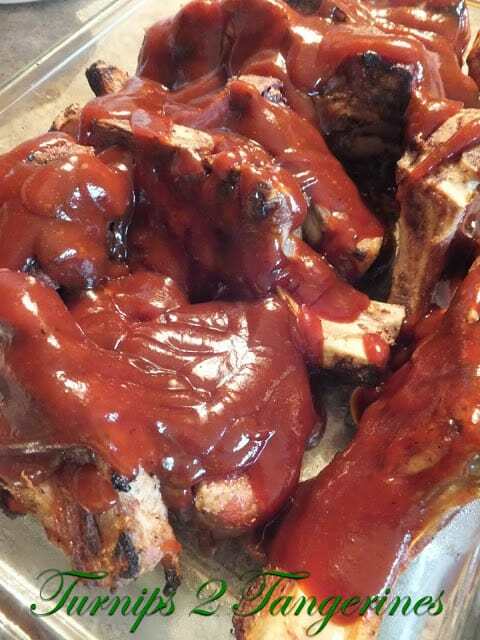 Your favorite bottled or homemade bbq sauce is poured over the ribs. In the oven they go and then baked at 300 to 325 degrees for an hour and a half. The reason for grilling the ribs first, allows for the best of both worlds. Grilling the ribs outside first gives the ribs that “grilled” flavor everyone loves. 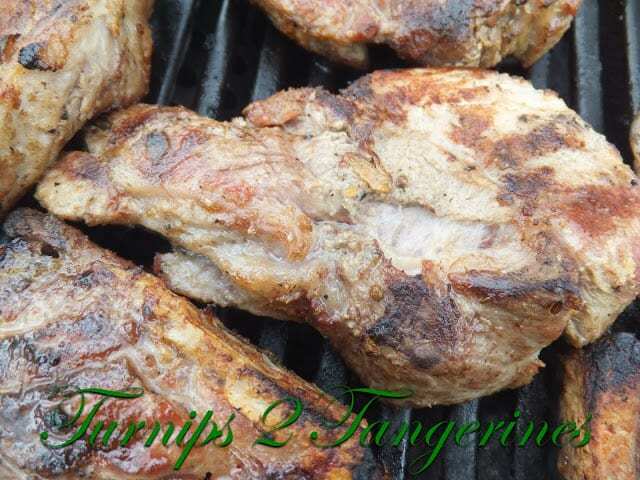 The fat on the ribs is allowed to cook off somewhat thus enhancing the flavor even more. Baking the ribs inside the oven with the sauce further allows the ribs to become extremely moist and fall off the bone tender. Once you cook your ribs in this way, you’ll never make them again any other way. Ribs are first grilled outside and then brought in the house and cooked an additional hour covered with barbecue sauce. In large pot place ribs. Cover ribs with water. Season with salt and pepper to taste. Bring ribs just to a boil, cover pot and turn off heat, let simmer/stand in water 10 minutes. Drain. Grill ribs over medium heat on gas grill, turning often, about 45 about minutes. When ribs are browned on both sides, remove from heat and transfer to a roasting pan. Cover with barbecue sauce. Cover pan tightly with foil. Place in oven and bake at 325º degrees for 1 hour. Remove foil and bake 15 minutes longer. 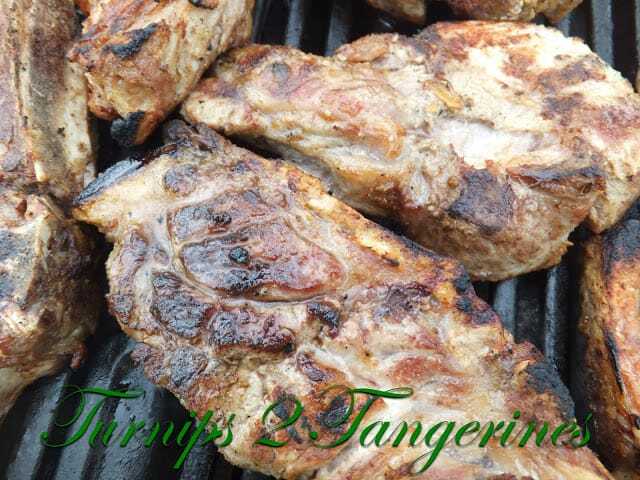 *Cooking time will vary depending on the thickness of ribs and grilling time. Oh, yum! It's that time of year! I'll bring the napkins right over. Thank you for linking, Lynn. Rib season is finally here!!! Sounds like just the recipe for next weekend's cookout with the kids. Thanks for sharing. We're having a party at Tumbleweed Contessa and I'd love it if you brought this over.